Forklift Certification Classes: Content, Formats, Length & Cost - Be Certified Today! Are you planning to become a forklift operator? Do you know that operators who completed the forklift certification classes make more money than those who don’t. When you take a certification, you have big potential to get accepted for a job easily. Are you an employed certified operator? You can make yourself more valuable for your company to become deserving to take that much awaited promotion to be an internal safety trainer and to climb to the career ladder, you need to complete a train-the-trainer class. Are you an employer? Do you know that OSHA can impose fine up to $4,000 for every operator found who don’t have certification. And the penalty could be several times more if you, as employer, willfully omitted compliance with the violation. 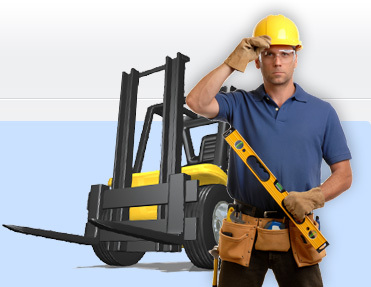 As per OSHA legislation, it is in your shoulder to supply forklift training for your workers. The forklift operators must have their own relevant forklift license to operate the equipment. Whoever you are or what your intention might be, you need to take forklift classes to get trained. One of the provisions of OSHA CFR 29 1910 is the forklift training provision to all operators prior to permitting a worker to operate the fork truck. The training must be administered by a competent supervisor who the knowledge and experience to deliver the training and assess the competency of the trainees. The forklift certification class shall compose of formal education or classroom discussion. The topics to be discussed during formal education are basic controls and functions of the truck, present laws and legislations, safety and, workplace specific issues. These topics could be delivered in different formats like: watching video presentation, participate in computer or interactive learning, distribution of reading materials or handouts. Another important element of the forklift training class is the practical driving. During this stage, the trainer will demonstrate how to operate the forklift and the practice driving is to be performed by the trainee. The most crucial element is the evaluation. The trainee shall be rated accordingly based on how well he performed and satisfied the instruction of the trainer. The evaluation must be conducted in the workplace, so that trainer can alter the course to suit with present condition of the worksite. After successful completion, every trainee will receive a wallet size license and certificate of training. We have prepared tutorial on how to get forklift certified, visit this page. You have the option to take the forklift certification class online or inside the classroom. Online training can take as much as few hours to complete but it doesn’t give you much freedom to learn and absorb much knowledge you need to know. It is only convenient because you can take it at your own pace, anytime at your vacant schedule, or anywhere at the comfort of your office or home. I strongly discourage people to take the class online. The best and the most effective way of attending the class is inside the classroom. The significant aspect of classroom training is interaction with the forklift trainer himself and with fellow students. This is where you can learn more valuable knowledge. Depending on the students, the forklift certification classes can be delivered in different languages. The most prominent of course is English. In the US, the classes can be conveyed in Spanish. Some training schools offer packages, these are great options you can choose when looking for training program. Packages include training on different trucks, some packages include on the spot employment. I advise you not to enroll for class due to the reason that it is cheap. I persuade you to take a more comprehensive and complete course, it may cost more but the quality of training is more valuable than money. Do not sacrifice quality over money. This is the best place to receive your training. The schools have competent trainers and training facilities. They also have the various types of forklifts you are intending to drive. Enrolling at school to take the forklift training has a wide number of advantages. One of these is thorough and in-depth learning, experienced trainer, training packages, some schools offer actual job offer. If you want to learn how to choose the best forklift training schools, we have prepared this article, click here. When looking for training school, choose that school with long track record, select the school that has been in the business for many years. When starting a new vocation as forklift driver and getting certified can be sound very worrisome for many individuals. But there’s nothing for you get worry of. Enrolling at a class is the right way to do. But choosing a training school can be tricky for someone like you. Remember, that choosing the forklift certification classes can often be confusing, you can talk to others, talk to your colleagues where they took their classes, read review and comments from online sources. These are the ways on how to choose the best forklift training school and classes. Get all the important facts before making a final decision. Choosing the right class should be encouraging experience!